Slice/cut up all peppers, squash, zucchini. 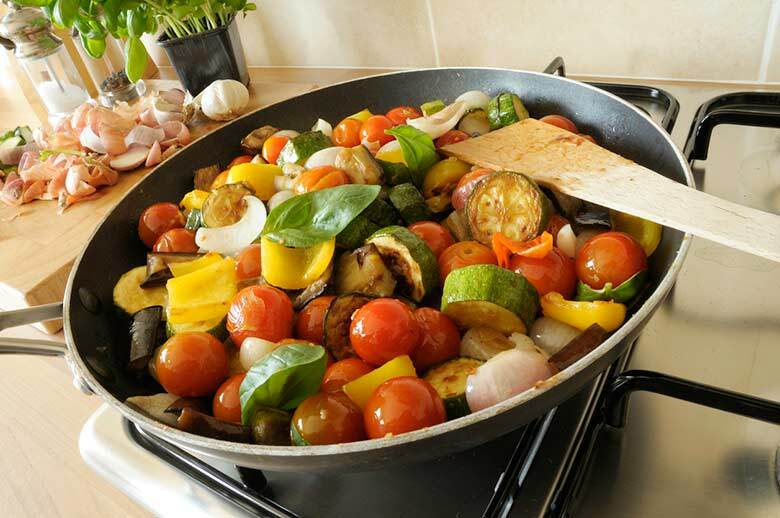 In a large pot put 3 tablespoons of olive oil, sliced vegetables, add seasoning as well as Marinara sauce. Put on medium-low heat cover it with lid with a little opening to let steam out, cook for 45 minutes. Cook till vegetables are tender. Beside home made Marinara sauce I will also use Trader Joe’s Organic Spaghetti sauce. 1. Mix all ingredients together in blender until smooth. Store in container. Enjoy!